These days by default a user called root would be created on every Linux system. In distros like RHEL, fedora, CentOS during installation itself, you would be asked to create the default root account. 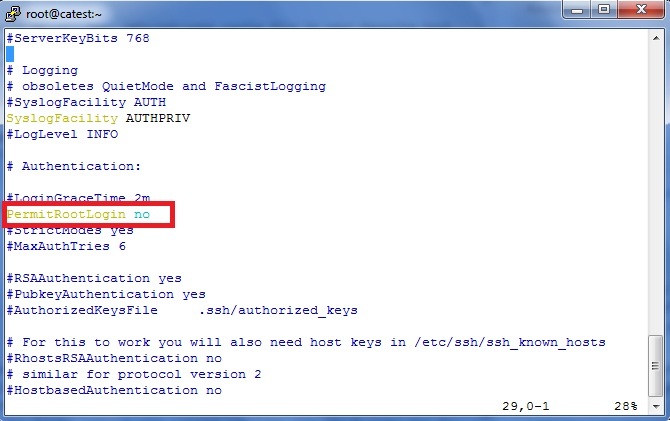 The default ssh configuration allows all users to login to your server remotely. If a hacker try to brute force your root user password, then he would gain access to your system completely ! So for security reason, it’s not a good idea to have enabled remote login to root user. In this tutorial we would see how to disable remote login for root user on a Linux server. There are two config files “ssh_config” and “sshd_config” under /etc/ssh/ directory. ssh_config file contains configuration pertaining to outbound SSH connections. where as sshd_config file contains configuration parameters which controls inbound SSH connections to the server itself. Note : It’s always a good idea to backup important system files before you modify. Now if you try to login from a remote server to your machine, you would be allowed to login !